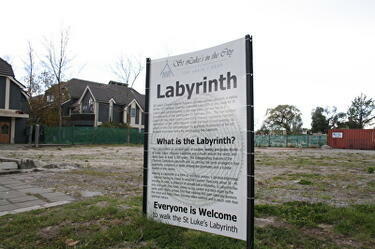 A photograph of a sign describing St Luke's Labyrinth. 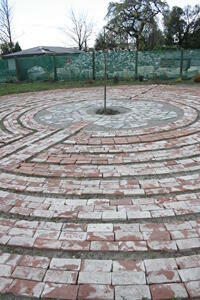 A photograph of a labyrinth laid out in bricks on the former site of St Luke's church. 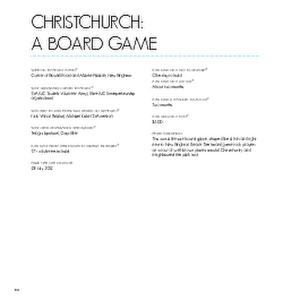 A PDF copy of pages 206-207 of the book Christchurch: The Transitional City Pt IV. 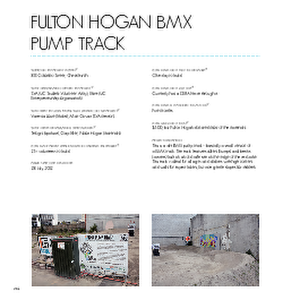 The pages document the transitional project 'Fulton Hogan BMX Pump Track'. Page 206 photos: Irene Boles. 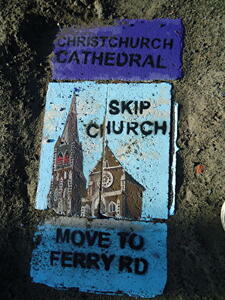 Page 207 photos: Peter Walker, Three Chairs Photography. 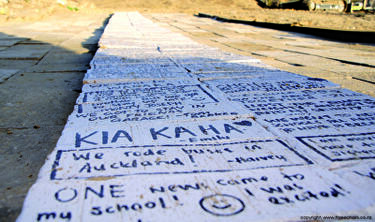 With permission from Student Volunteer Army Foundation. 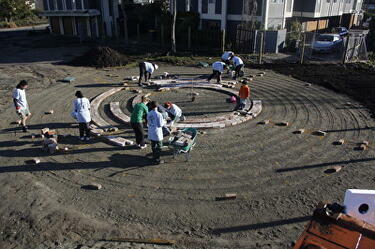 A photograph of volunteers digging soil to construct a BMX track. 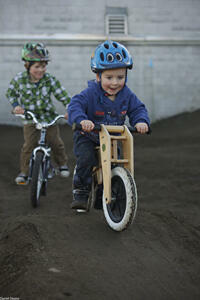 A photograph of children cycling on the Fulton Hogan BMX Pump Track. 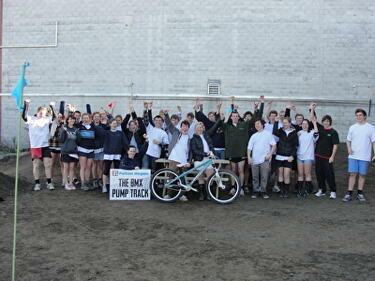 A photograph of volunteers who contributed to building a BMX track on an empty site on Colombo Street. 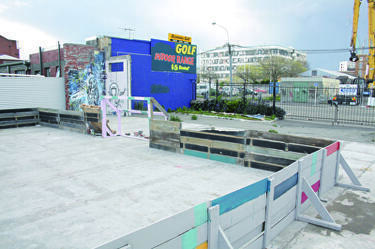 A photograph of the wall of a street football arena built by Student Volunteer Army volunteers. 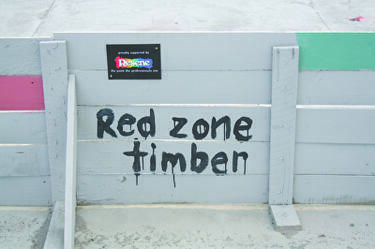 The wall has a sign attached acknowledging the support of Resene, and is painted with the words, 'Red zone timber'. 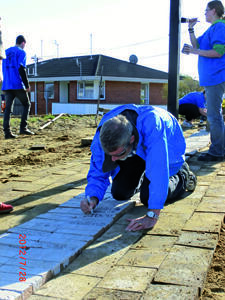 A photograph of volunteers laying bricks to create a labyrinth on the former site of St Luke's church. 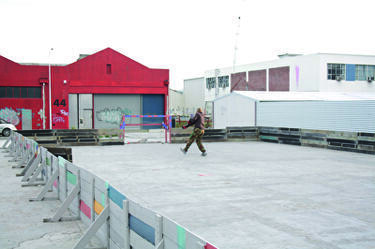 A photograph of a person playing hockey in a street football arena built by Student Volunteer Army volunteers. 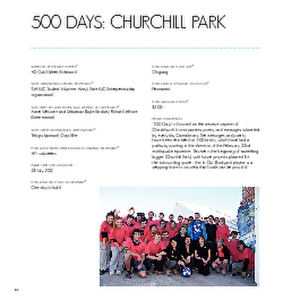 A PDF copy of pages 208-209 of the book Christchurch: The Transitional City Pt IV. 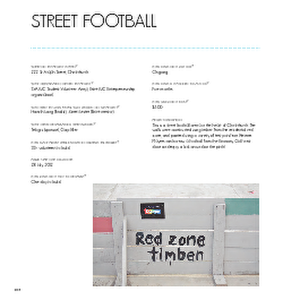 The pages document the transitional project 'Street Football'. 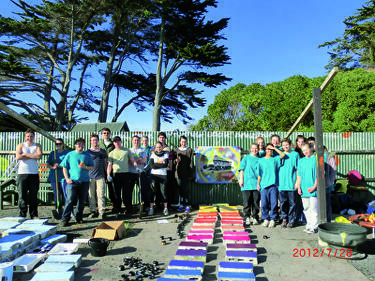 A photograph of a street football arena built by Student Volunteer Army volunteers. 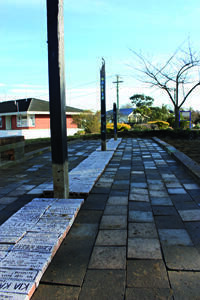 The walls of the arena are built from recycled timber. 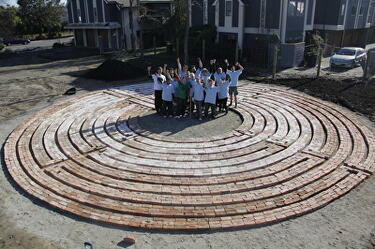 A photograph of volunteers standing in the centre of a labyrinth they have created on the former site of St Luke's church.